-February 08 : Janet is spotted at the Paris airport taking a flight to London. -February 13 : Prince celebrates his 18th birthday with family and friends. -February 21 : Blanket celebrates his 13th birthday with family and friends and asks people to call him Bigi from now on. -Early March : Tony Martinez joins Janet in Paris. -March 8 : Katherine, LaToya, Rebbie & Paris attend Frances’s baby shower at Hayvenhurst. -March 10 : Birth of Rio Tito Jo Jackson, 4th child of TJ & Frances. -March 19 : Janet is spotted in Paris. –April 03 : Paris celebrates her 17th birthday with family and friends. -April 18 : Janet tweets for the first time in 2015 when she reacts to a fake missing report from a fan : “LOL. Too funny, too sweet.”. -April 20 : Janet is spotted arriving in Paris with Joey. -April 21 : Janet tweets : “Letting go doesn’t mean you stop”. -April 24 : Janet is spotted in Paris. -April 27 : A record store in the US annouces that a new Janet Jackson album is set to be released on July 10, 2015! -April 29 : Janet & Wissam attend Georgio Armani birthday dinner at Nobu in Milan. -May 9 : In Los Angeles, Gil Duldulao & Luther Brown start reheasing for “The Project”. Jimmy Jam tweets : “Be patient. The best things happen unexpectedly”. -May 10/11 : Jimmy Jam, Janet & Kathy Ireland tweet social conscious pictures with a mysterious hashtag “Conversations In A Cafe”. -May 16 : Janet posts a video message on her website & her social networks (Facebook, Twitter, Instagram, You Tube, Vimeo and Tumblr) to annouce “new music, a new world tour and a new movement” in 2015. At night Wissam hosts a surprise dinner for Janet 49th birthday at L.A’s Hyde Lounge with 30 of her closest friends & family (Jermaine, Austin, Gil, Preston, Tish Oliver, Kelly Konno, Josie Harris, Laurel Canyon, Peanut, Marcel, Kevin, Gilbert Tony Testa, Derrick and her designer Robert Behar). -May 18 : Janet, Gil, Whyley Coyote, Laurel Canyon & Luther Brown pick up the new Kids during a day of auditions. 5 of the 10 dancers are Pulse dancers. -May 25 : 1st week of rehearsals for the Unbreakable World Tour Crew at a dance studio in L.A.
-May 28/29 : Janet is spotted at a dance studio in L.A.
-May 30 :– The whole Jackson family attends Prince’s graduation Party at Hayvenhurst (except Janet, Marlon & Randy). -June 01 : 2nd week of rehearsals for The Unbreakable World Tour Crew at a dance studio in L.A.
-June 03 : Janet posts on her website & social networks : “you will always know it is true when you hear it from my lips…” followed by an annoucement that BMG will release Janet’s first album in seven years this fall through her own label Rhythm Nation Records. -June 05 : Luther Brown posts a pic on Instagram at the reheasal studio with Preston. Janet attends the graduation party of her Godson Tyler Harris in L.A with his parents Jimmy Jam & Lisa Jam Harris. -June 06 : Janet attends Tommy Parker’s birthday party with her nephew Austin in L.A.
-June 08 : 3rd week of rehearsals for the Unbreakable World Tour Crew at a dance studio in L.A.
-June 15 : Presale starts for Janet’s new “Unbreakable” world tour which will kick off on August 31 in North America as well as her new album slated for a september release. 4th week of rehearsals for the Unbreakable World Tour Crew at a dance studio in L.A.
-June 17 : A snippet from Janet’s new album is posted on her website & social networks. Janet & Wissam are spotted at Lax airport leaving for Europe. -June 20-21 : Janet introduces her new dancers on her website & social networks. -June 21 : Janet & Wissam are spotted in Paris. -June 22 : Janet’s new single titles “No Sleeep” is released on You Tube, Vimeo, Amazon, Spotify & Apple Music. General sales begin for the North American Leg of the Unbreakable Tour. 5th week of rehearsals for the Unbreakable World Tour Crew at a dance studio in L.A.
-June 23 : BET announces that they will do a special tribute to Janet on June 28 during the BET Awards and she will receive the first ever Ultimate Icon : Music Dance Visual Award! –June 24 : Janet is spotted at LAX airport coming back to L.A.
–June 28 : After a dance tribute performed by Tinashe, Ciara & Jason Derulo, Jimmy Jam & Terry Lewis present Janet with the Ultimate Icon Award live at the BET Awards in L.A.
Janet appears on stage while her female dancers perform a choreography on “No Sleeep”. Katherine & Joe Jackson attend the ceremony. Backstage Janet is reunited with her whole team (Gil, Preston, Janet Zeitoun, Robert Behar, Joey and all the dancers from the Unbreakable Tour). -June 29 : 6th week of rehearsals for the Unbreakable World Tour Crew at a dance studio in L.A.
-June 30 : Janet announces her own jewllery line “Unbreakable”. -July 06 : 7th week of rehearsals for the Unbreakable World Tour Crew at a dance studio in L.A.
-July 07 : Janet releases a lyric video for “No Sleeep” on her website & social networks. -July 09/09 : Janet shoots the video for “No Sleeep” in a mansion located in L.A. The video is directed by Dave Meyers and features rapper J Cole who recently recorded his part on the album version of the song. Jimmy Jam, Joey, Gil, Preston, Terri, Robert & Janet Zeintoun are on the set to support Janet. -July 13 : 8th week of rehearsals for the Unbreakable World Tour Crew at a dance studio in L.A.
Janet announces the 2nd North American leg of the tour on her website & social networks. -July 19 : Janet attends J Cole’s concert in L.A with Jimmy Jam, his family, Gil & the new team of Kids. She posts a picture on her website & social networks. -July 20 : 9th week of rehearsals for the Unbreakable World Tour Crew at a dance studio in L.A.
-July 23 : The album version of “No Sleeep” featuring J Cole is released on Itunes, Apple Music, Amazon & Spotify. Dave Meyers tweets a picture of Janet on the set of the video. -July 24 : The video for “No Sleeep” is world premiered on Janet’s You Tube Page. Access Hollywood airs an exclusive report “Behind the scenes’ on the set of the video. -July 26 : Janet wishes an happy 87th birthday to her father, Joe Jackson, on her website & social networks. Later that day, Joe is hospitalized after suffering a stroke while vacationing in Sao Polo, Brazil. -July 27 : Janet decides to go to Sao Polo, Brazil to support her father. She is joined by her niece Steveanna. 10th week of rehearsals for the Unbreakable World Tour Crew at a dance studio in L.A.
-July 31 : Johvonnie & Rebbie join Janet & Steveanna in Sao Polo; Brazil to support Joe. -August 03 : 11th week of rehearsals for the Unbreakable World Tour Crew at a dance studio in L.A.
-August 04 : The lyric video for the album version of “No Sleeep” featuring J Cole is posted on Janet’s You Tube Page. Janet flies from Sao Polo to London and then London to Los Angeles. -Blame it on the boogie? Reelz’s previously announced reality show Living with the Jacksons has been scrapped. Sources familiar with the situation tell us, the Estate is noodling the idea of Hollywood tour buses and individuals making the trek to the property and then taking a room-by-room tour. Our sources say nothing’s in cement … the Estate is currently exploring the idea and also checking to see if the zoning laws would allow it, and if not whether they could get a variance. -August 10 : 12th week of rehearsals for the Unbreakable World Tour Crew. They move to a bigger venue, the Citizens Business Bank Arena (CBBA) in Ontario. -August 13 : Janet announces dates for the Japan leg of the Unbreakable World Tour. The J Tribe plays the whole show for the first time in front of Prestonn Cassidy Blaine & Cassandra Caccioppoli. -August 17 : 13th week of rehearsals for the Unbreakable World Tour Crew at the CBBA. -August 20 : Janet relases a snippet from a new song titled “The Great Forever” and reveals the album title is “Unbreakable”. Good Morning America airs an exclusive behind the scenes video of Janet’s photoshoot with Fashion photographer Yu Tsai and Fasion designer Kim Bowen for her upcoming album artwork & tour book. Later that day the video is posted on Janet’s You Tube channel and social networks along with a brand new promo picture. -August 22 : Prince, Paris, Bigi and many of their cousins visit the old Jackson family house in Gary, Indiana. -August 24 : Last day of production rehearsals for the J Tribe at the CBBA. Jimmy Jam attends the last reheasals while in NYC the “Unbreakable” album is being mastered by Sterling Sound. August 27 : Janet is spotted at Lax taking a flight to Vancouver with Joey. -August 30 : Dress rehearsals take place at the Rogers Stadium Arena in Vancouver. Jimmy Jams attends the rehearsals and tweet about it. -August 31 : Janet kicks off the Unbreakable World Tour at the Rogers Arena in Vancouver, Canada. During the show she premieres 4 new songs from her upcoming “Unbreakable” album including the opening song titled “Burn It Up” featuring Missy Elliott. Jimmy Jam & Kelly Konno attend the show. -September 02 : 2nd concert at the Scotiabank Saddledome in Calgary, Canada. -September 03 : Janet officially announces on her website & social networks the name, artwork, tracklisting and release date of her new album “Unbreakable” set to be released on October 2, 2015. The album is available for pre-orders on Itunes and the song “Unbreakable” is premiered on Apple Music and then posted on Janet’s You Tube page. -September 04 : 3rd concert at the Rexall Place in Edmonton, Canada. -September 5 : 4th concert at the Revolution Place in Grande Prairie, Canada. -September 07 : 5th concert at the Sasktel Centre in Saskatoon, Canada. -September 08 : 6th concert at the MTS Centre in Winnipeg, Canada. -September 11 : 7th concert at the Van Andrel Arena in Grand Rapids, USA. -September 12 : 8th concert at the PNC Pavillon in Cincinatti, USA. -September 15 : 9th concert at the Air Canada Centre in Toronto, Canada. -September 17 : 10th concert at the Walnut Creek Amphitheatre in Raleigh, USA. -September 18 : 11th concert at the PNC Music Pavillon in Charlotte, USA. -September 19 : Janet cancels her iHeart Radio Festival performance in Vegas because she is suffering from a recent ear issue which prevents her from flying. She arrives in Miami with the J Tribe. La Toya attends Face Forward’s 6th Annual Charity Gala at Millennium Biltmore Hotel in Los Angeles, California. -September 20 : 12th concert at the American Airlines Arena in Miami, USA. After the show Janet & the J Tribe go to LIV night club in Miami Beach where Jermaine Dupri is celebrating his birthday! -September 23 : 13th concert at the Armway Center in Orlando, USA. -September 24 : Janet’s new single BURN IT UP fearuring Missy Elliott is premiered on UK’s radio BBC1. Later that day Janet releases the song on You Tube, Apple Music, Amazon & Spotify. 14th concert at the Amalie Arena in Tampa, USA. -September 25 : Janet & the JTribe attend Unbreakable pre-show party in Atlanta hosted by Lil’John Robertsn drum player on the tour. -September 26 : 15th concert at the Delta Classic Chastain Park Amphitheater in Atlanta, USA. -September 27 : 16th concert at the Ascend Amphiteater in Nashville, USA. -September 29 : 17th concert at the FedExForum in Memphis, USA. 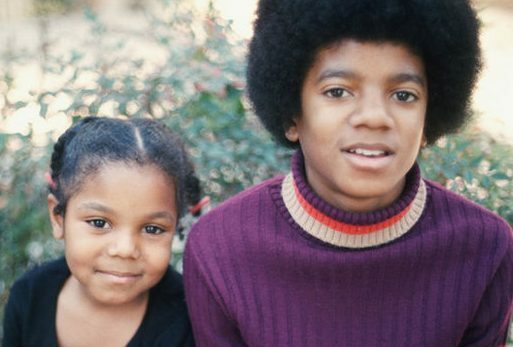 BET airs the BET Life of Janet Jackson. The first CD’s of the Unbreakable album are delivered in the US. -September 30 : 18th concert at the Smoothie King Center in New Orleans, USA. Janet makes a suprise visit to the fans before the concert at the VIP museum. -October 01 : Janet flies to Paris with Joey to spend some time with Wissam. She decides to postpone her Las Vegas concerts to May 2016. -October 02 : The Unbreakable album is officially released worldwide on Itunes, Apple Music, Amazon, Spotify and all music stores. The Target & Japonese special editions have 2 extra bonus tracks. Janet releases the lyric video for BURNITUP on her You Tube page. 3T celebrate the premiere of their Lifetime reality show « The Jacksons Next Generation » during a party ay Hayvenhurst. 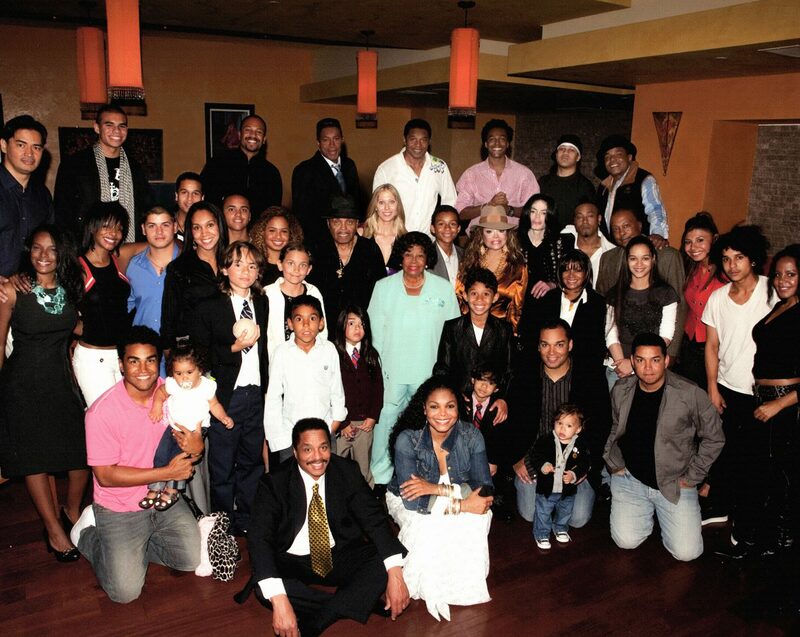 The show features Taj, Taryll & TJ with their wives and kids plus appearances of Prince, Bigi and Katherine. LaToya, Janet & Paris do not appears in the series. -October 03 : Janet releases a short video on her You Tube page to thank her fans for getting Unbreakable number 1 on Itunes. -October 05 : Janet & Wissam attend the Hermes Showroom at Paris Fashion Week. -October 07 : Janet announces the highly anticipated european leg of the Unbreakable World Tour. -October 08 : Janet is nominated for induction into the Rock and Roll Hall Of Fame and Museum 2016. -October 11 : Unbreakable enters at number 1 on Billboard 200. It’s Janet 7th Number 1 album on Billboard over the last 4 decades! -October 13 & 14 : 19th & 20th concerts at the Bill Graham Civic Auditorium in San Francisco, USA. -October 16 : 21st concert at the Forum in Inglewood, USA. Many friends & family attend the show including Katherine, Joe, LaToya, Randy, Tito, Austin, Queen Latifah, Tina Landon, Channing Tatum, Beyonce & Blue Ivy. -October 17 : 22nd concert at the Viejas Arena in San Diego, USA. -October 19 : 23rd concert at the Comerica Theatre in Phoenix, USA. -October 21 & 22 : 24th & 25th concerts at the Bowl in Santa Barbara, USA. Jimmy Jam, Austin Brown & Questlove attend the show. -October 24 : Janet announces that she is rescheduling her upcoming concerts in Salt Lake City and Denver on Doctor’s orders she must rest her vocal chords. -October 25 : Janet announces that she must postpone Kansas City & St. Louis concerts on Dr orders. –October 30 : 26th concert at the Century Link Center in Omaha, USA. -November 01 : 27th concert at the Target Center in Minneapolis, USA. Janet posts a picture of herself with Wissam before the show. They visit the My Music VIP Museum to chat with the fans. At the end of the concert Terry Lewis & Jimmy Jam go on stage with the Mayor of Minneapolis who declares November 1, 2015 Janet Jackson’s Day in the city! –November 03,04 & 06 : 28th, 29th & 30th concerts at the Chicago Theatre in Chicago, USA. -November 08 : Back in L.A, Janet & Wissam spend some time with Missy Elliott.They also meet Missy’s new protégée Sharaya. -November 10 : Janet takes a flight from L.A to Honolulu, Hawaii. -November 12, 13 & 15 : 31st, 32nd & 33rd concerts at the Neal S. Blaisdell Center Arena in Honolulu, USA. The first US leg is wrapped. -November 18 : Janet & The JTribe arrive in Osaka to kick off the Japan leg of the tour. -November 19 : 34th concert at the Intex Center in Osaka, Japan. -November 21,22 : 35th & 36th concerts at the Saltama Super Arena in Tokyo, Japan. -November 23 : The Japan leg is wrapped. Janet & the JTribe fly back home just in time for Thanksgiving. -November 25 : Prince, Paris & Bigi have pre-Thanksgiving dinner at Calabasas with Austin and the gang. -December 05 : Janet is spoted in a London restaurant. -December 20 : Paris posts a selfie of her with Grace Rwaramba on her Instagram. -December 24/25 : Prince, Paris, Bigi & Omer spend Christmas together in L.A.